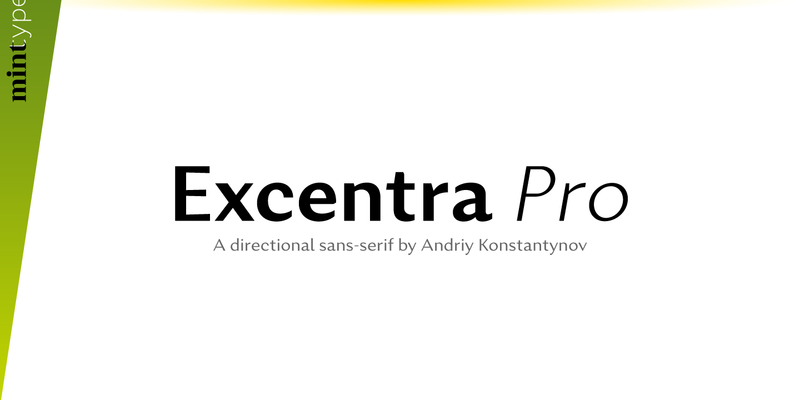 Our new release today is Excentra Pro, a sans-serif with directional contrast, inspired by the typefaces of 1920s. 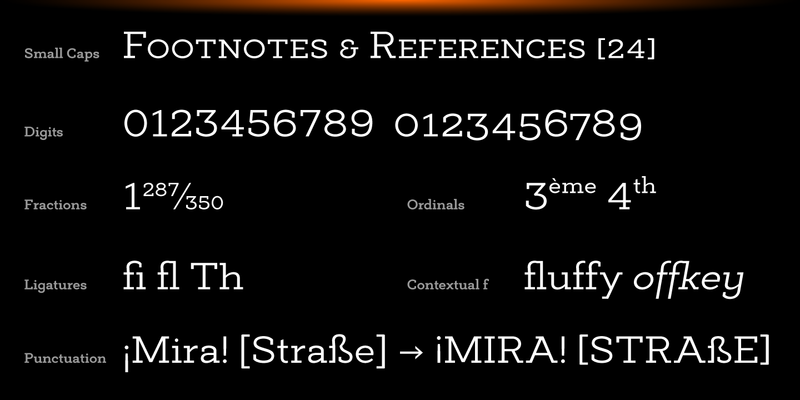 The 80% introductory discount will be on until October 27. 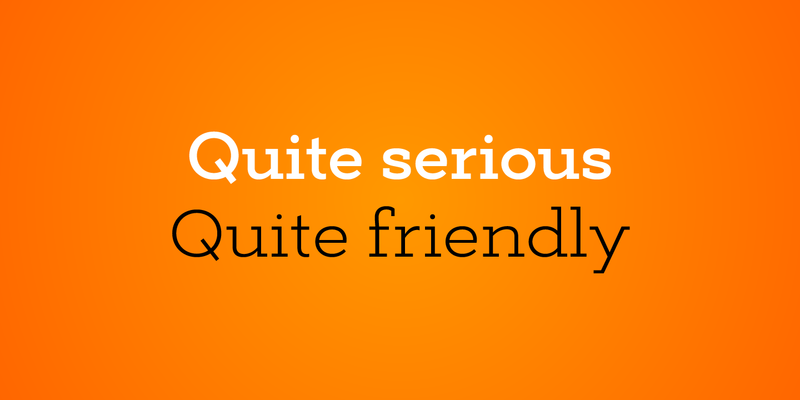 We are very proud to have launched our new website today! 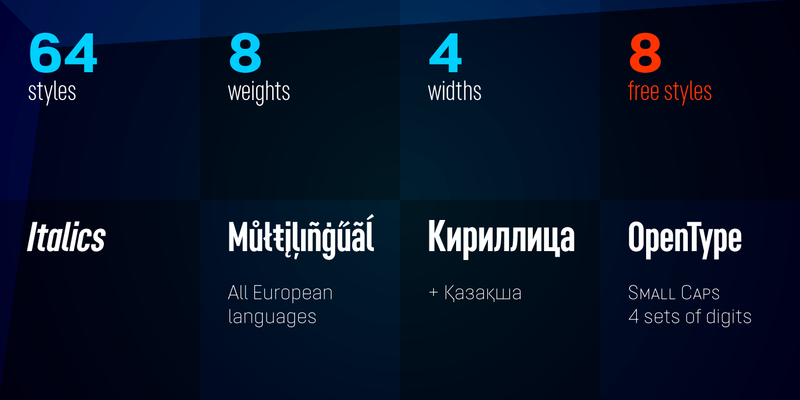 Once we were the first Ukrainian type foundry to sell our typefaces with renowned international digital typeface distributors, and today we are the first ones in Ukraine to create a website with direct selling capabilities. 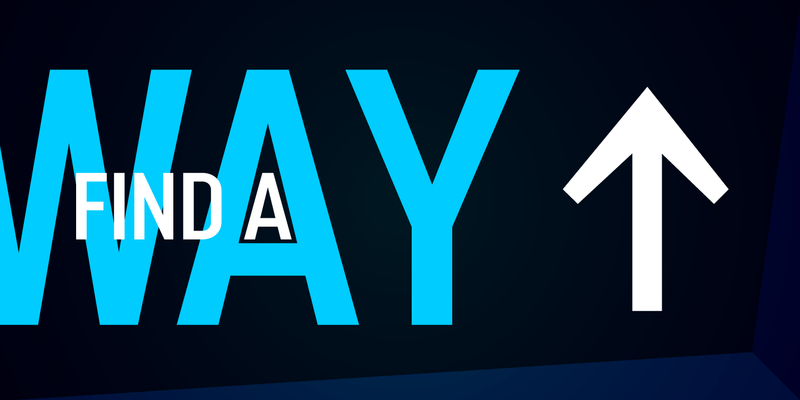 Go ahead, register and download! 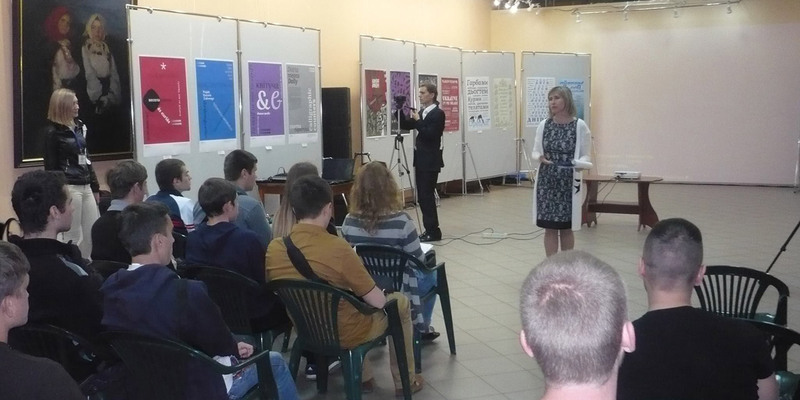 From 22 to 24 of May the seashore town of Berdyansk hosted the "Letters & Waves" ("Букви й хвилі") calligraphy and type event. 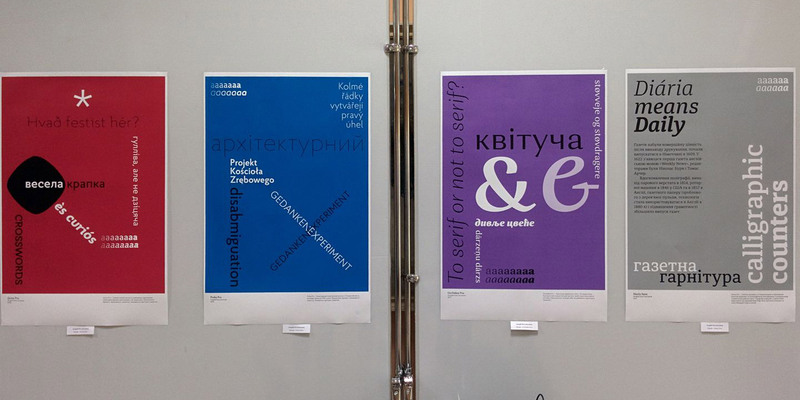 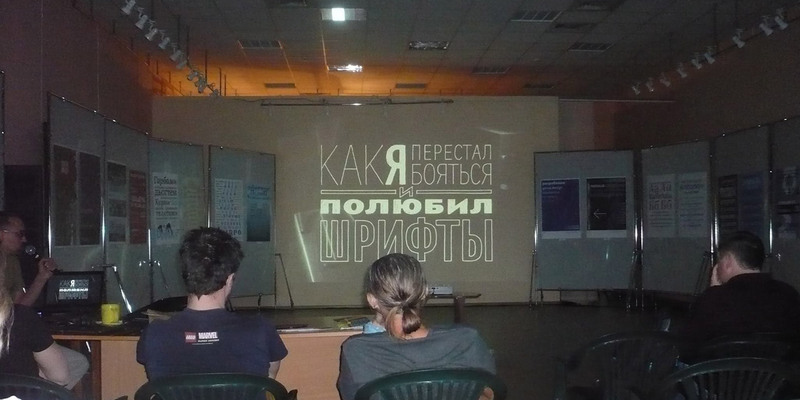 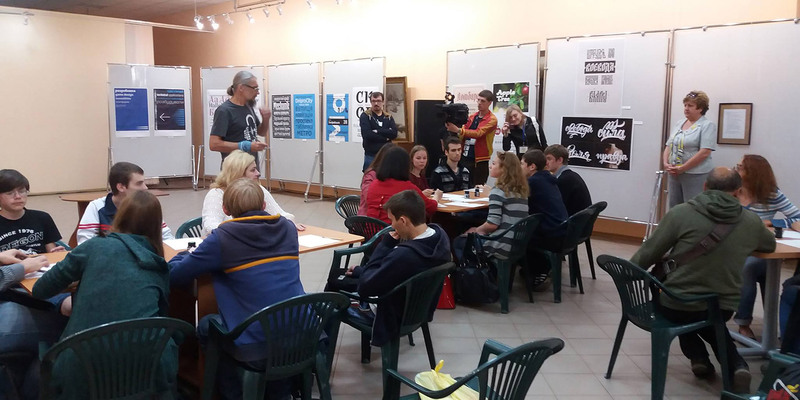 The typography poster exhibition and several master-classes were all totally remarkable to visit and to take part in since the event brought together almost the whole Ukrainian type community! 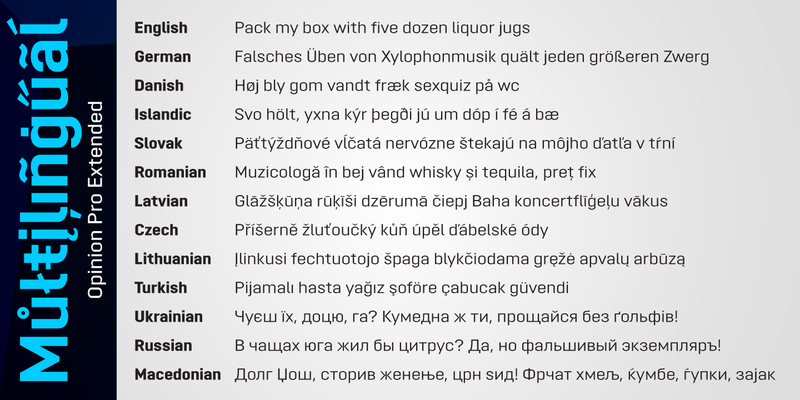 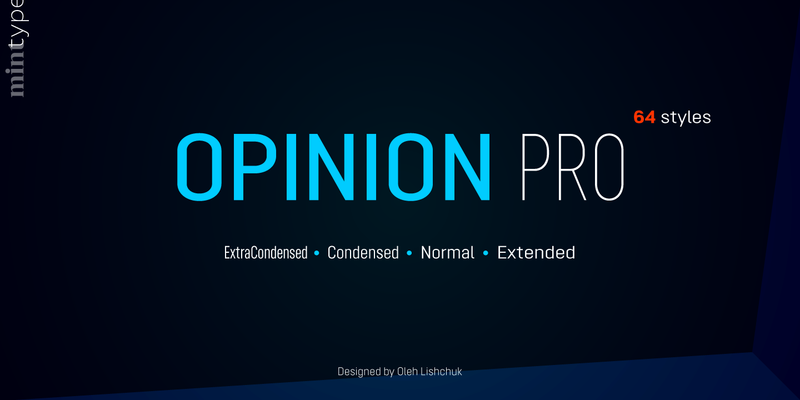 We've just released Opinion Pro – our largest typeface so far, designed by Oleh Lishchuk. 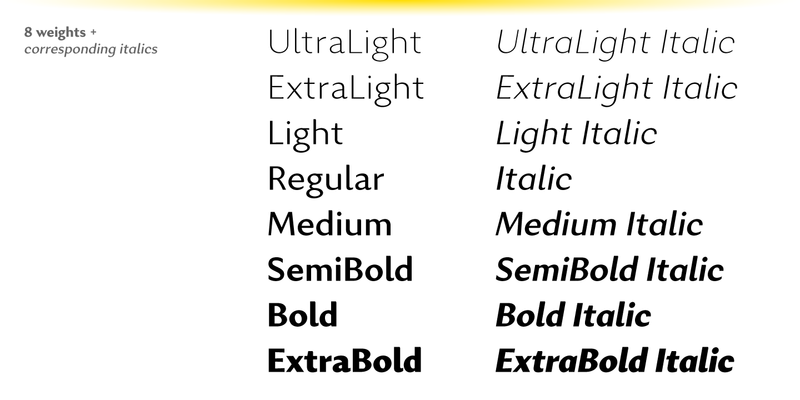 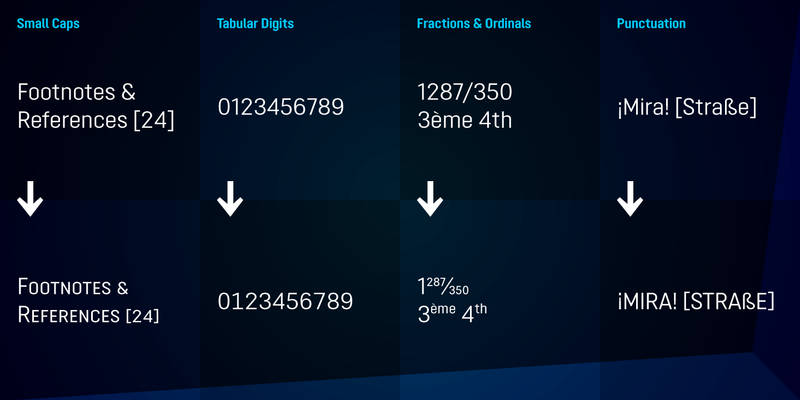 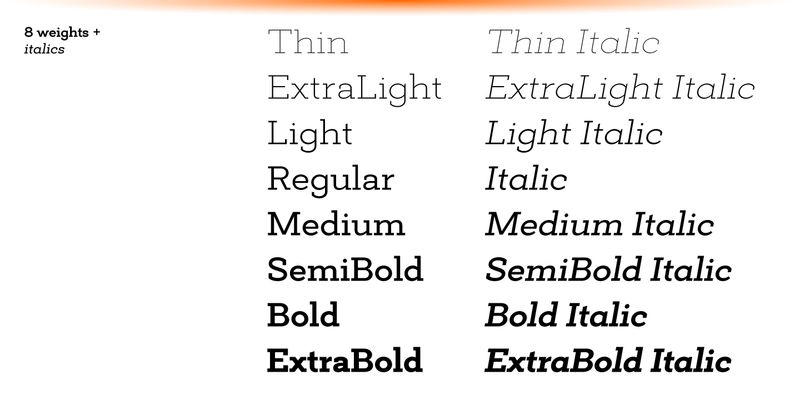 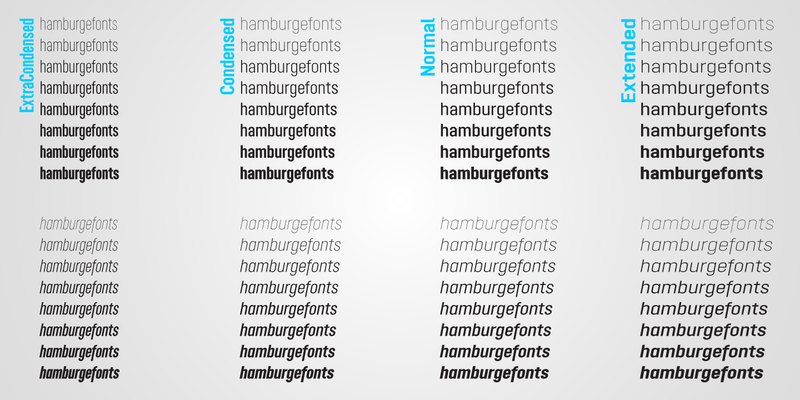 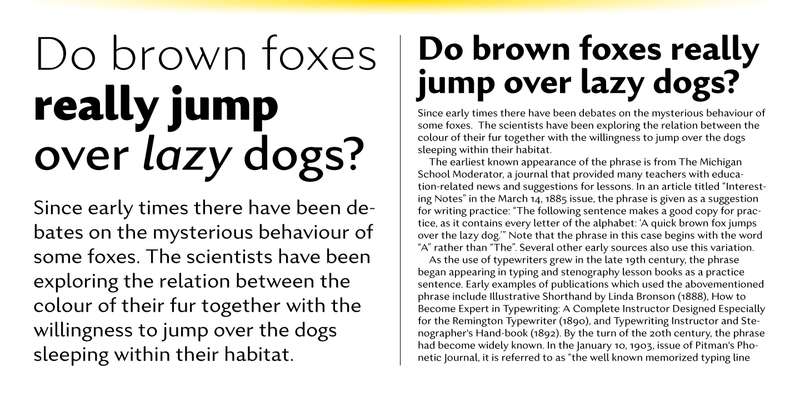 It consists of whopping 64 styles – 4 width variations each containing 16 fonts. 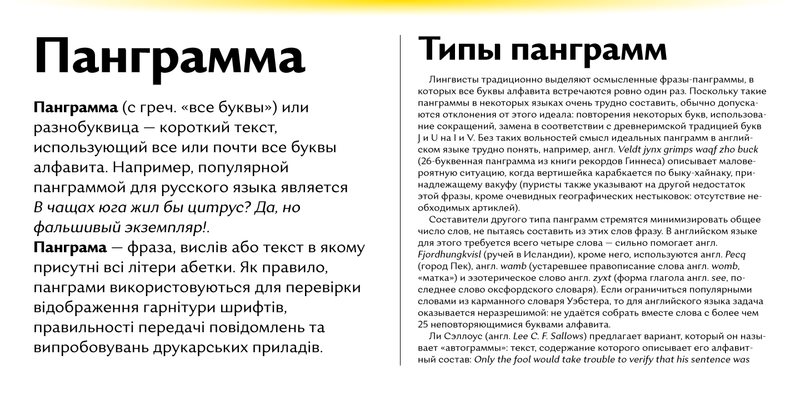 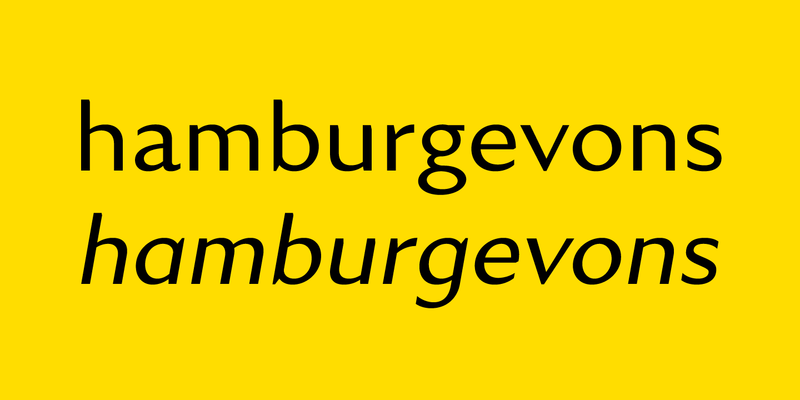 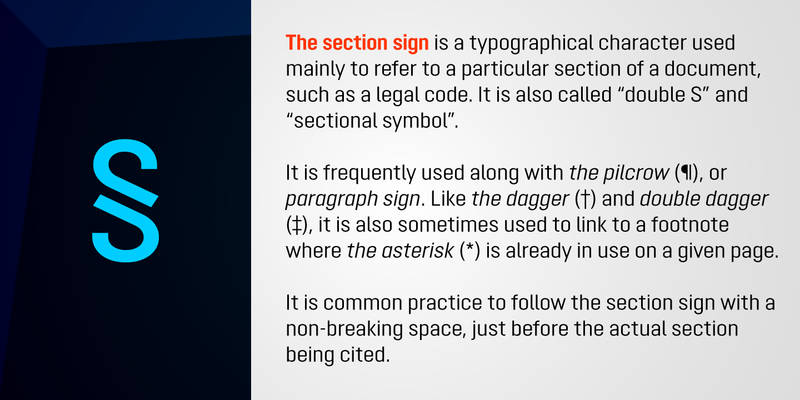 It is a geometric grotesque sans with extra-large x-height and pronounced vertical stems. 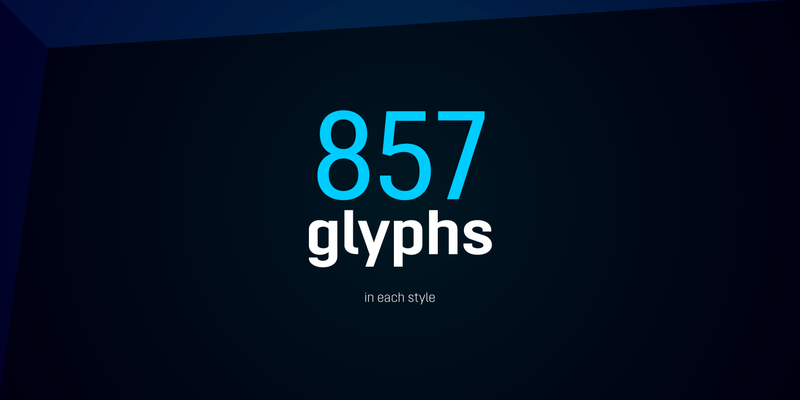 Already available at MyFonts with a 80% introductory discount: go grab it! 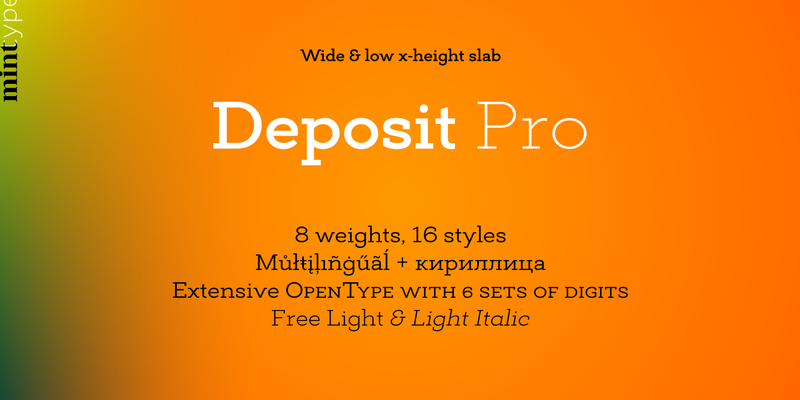 Our newest release designed by Oleh Lishchuk – Deposit Pro – a small x-height, wide slab-serif. 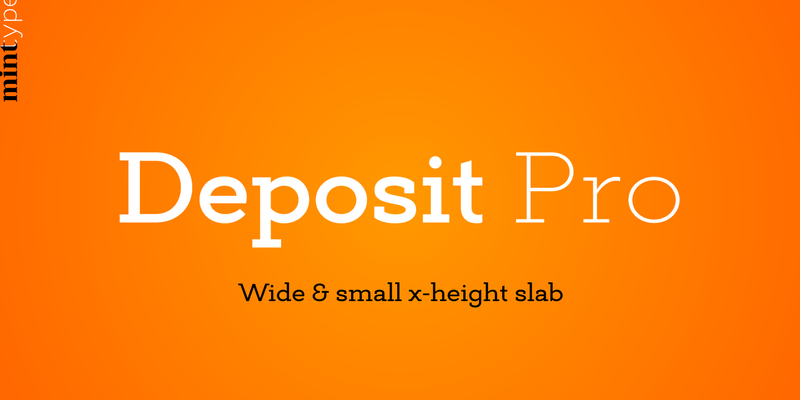 Now available from MyFonts with 80% discount!